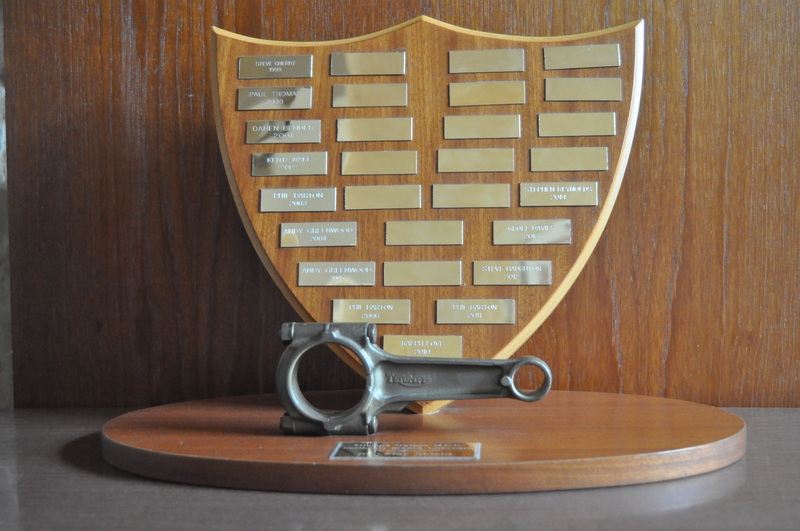 The Concours d'Elegance was introduced in 1983, and until 1998 it was the sole trophy awarded by the club. So for 1991-1998, both Meriden and Hinckley Triumphs were eligible (though it is almost certain that a Hinckley model never came 1st in that time). 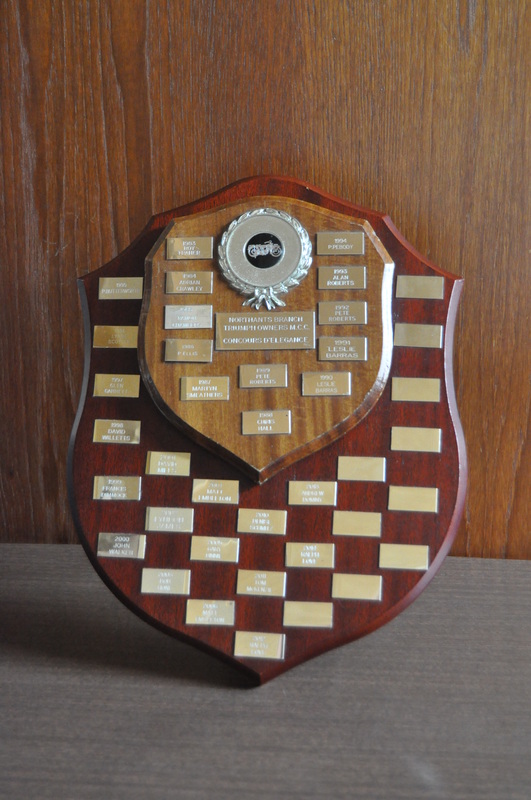 From 1999 onwards, it has been awarded to the winner of the Classic class: pre-1990 machines originating from any of the West Midlands factories, or from Newton Abbott. The past recipients are presented in reverse date order, from the most recent Concours to the oldest. Unfortunately, there are no complete records as to what machines won each year prior to 2011, but the complete podium is given since then. Click on the picture to the right to display a large photo of the trophy. 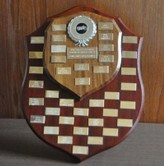 The Hinckley Shield was introduced in 1999 to allow Classic and Hinckley Triumphs to be judged separately.